Assertiveness: Be assertive, not aggressive: Confidence is a great asset when telemarketing and being confidently assertive will produce many ‘’wins’’ but be aware that your assertiveness doesn’t come over as aggression or you will almost certainly set yourself up for ‘’lose’’. Be confident / assertive but friendly – the two go hand in hand. Bend. 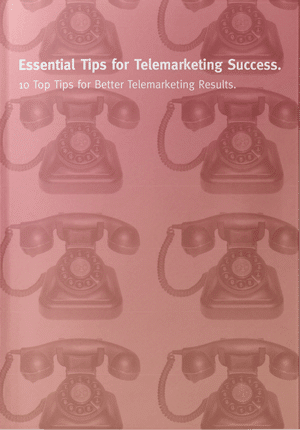 Be prepared to adjust: Excellent long term telemarketing campaigns grow and develop along with the market. You might change what it is that you say, or perhaps who you say it to. Once you start measuring your campaigns you will see who is receptive to your proposition and who isn’t. Always take time to evaluate how the campaign is going and be prepared to re-assess the situation and re-plan before implementing any new ideas. Call structure: It’s important to have a base for calls no matter how much you think you know your proposition inside and out. Having something to refer to will help reduce the risk of not sounding succinct and compelling in what you are saying to your Decision Maker and his / her gatekeeper. To get through you need to be confident in what you’re saying. Never sound scripted but also never ‘’waffle’’. Decision Maker: The person with ALL the power to say ‘yes’. They are traditionally in control of how budgets are spent and responsible for making a decision about your service/product. All too often we end up talking to an ‘’influencer’’ who leads us to believe they make decision. The danger here is that you put all of your efforts in only to find out that they have no power in the end to give you the answer you are looking for. If in doubt ask the question, they won’t be offended. Enthusiasm: Enthusiasm is the energy that you feel and create over the telephone. If you are not enthusiastic about your calls and do not sound passionate about your product or service your chances of success are very low. This is all reflected in the tone and pitch of your voice, the words that you use and your general attitude. No-one wants to continue a conversation with a caller who sounds dull, flat, bored and disinterested. No matter what happened on your last call don’t let it affect your next one – put it aside and move on in a positive manner. 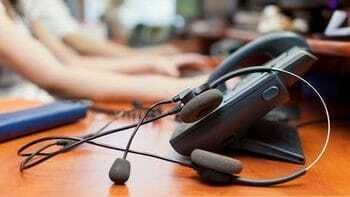 Focus: Telemarketing is a discipline. Although you may not have a quiet office to make calls, you should still do what you can to reduce the risk of interrupted call sessions. Telling colleagues / managers when you are likely to be in sales calls is a good start. It’s all about planning. Make sure you will not be interrupted or distracted. Ensure you have everything you need for your calls including a pen and some paper for your notes and a glass of water. Goals: Have a primary objective for every telemarketing call. What do you want them to DO as a result of this call? What information can I gather that helps me towards my outcome? Even if you realise early in the call that it won’t result in an appointment or a sale, quickly re-assess and plan in your head to obtain the best result possible from that conversation. It may be as simple as finding out exactly when your contact will be available to talk to you but if you don’t ask you will end the call having achieved nothing. Humour: Use humour to reduce cold call resistance. Humour and personality are two of the greatest tools a telemarketer has. The ability to assess a situation and decide quickly on how to humour the person you are talking to is a gift and with the right personality, listening skills and adaptability you can very easily get ‘’on their mountain’’ and appreciate thing from their point of view. All of this builds rapport and leads to a ‘’win’’. Inquisitive: Actively and effectively listening can help you unearth the pain your prospects are suffering from. Asking good questions and then allowing your prospects to do the majority of the talking is a good step in understanding how to help them. Employ your listening skills here, take note of key points, summarize these at a convenient point and never be afraid to ask someone to qualify or explain further a point they have made. Always remember ‘’if you don’t ask, you don’t get’’! Never be afraid to ask for an appointment or the sale – that was the point of your call so if you don’t ask that vital question there was little point to asking any other questions on the call. Jargon: Avoid it at all costs! Chances are that you are calling to offer a product or service that your prospect doesn’t have or indeed know about so the very worst thing to do is to go in all guns blazing with jargon and abbreviations assuming that they are with you all the way. It’s like blinding them with science and the most likely outcome is that they will have no idea what you are talking about and dismiss your call by saying they are not interested or asking you to send them some literature to have a look at. Keep it simple and get a feel for their level of understanding. Keep it fresh: Keep your approach as fresh as you can. If it isn’t working and you’re speaking to the right people, what is it that is preventing your success? Is it the proposition or is it what you’re saying. Be open to adapt and change. Don’t keeping using the same patter. You’ll probably keep getting the same negative results! Role play your approach with someone who will give you honest feedback – it could be as simple as the words you are using not having a natural flow. Learn: If you didn’t make a sale, ask yourself, “What did I learn from this call and how can I use this information for future telephone calls?” Sometimes it helps to have a colleague listen in on your call or record it and let them listen afterwards. Be open to some feedback and take on board any hints and tips they may offer you. Remember everyone is different and what works for one person may not work for another but always be prepared to try a new approach. Motivation: Think you can do something and you more than likely will do it. Think you can’t and you have more risk of being put off or becoming dispirited. Telemarketing can be a fabulous uplifting experience that you enjoy or it can be soul destroying if you lack motivation. For some people a target to work to can be enough motivation for others it may be working with colleagues and not in isolation so that you are able to motivate one another and create a positive atmosphere. Names: Use your prospect’s name in the beginning, middle and end of your conversation with them. It is personal and people like to hear their name. But don’t overuse to the point you become annoying like a telesales robot. ‘That’s really greatSteve, I’ll give you a call on Tuesday.’ Thanks Steve. Objections: Work out in advance what the likely objections are going to be to your proposition so you can handle them more easily. You should know these so plan for them. Fail to plan = plan to fail. Pen and Pad: When you make calls remember to listen out for buzz words and language used and write them down. Keep a record of call notes so you can refer back to these in future calls. Using the same language and terminology as your decision maker will help build rapport. And don’t type on a computer during the call. They can hear you typing! Qualify: Qualify in and qualify out. Check if they are the decision-maker, hold the budget and are responsible for decisions to engage suppliers in your area. But also, make sure that you don’t make poor meetings with those that aren’t really interested but just like to chat. Rapport: it’s about how you say what you say and also what you say. Body language is the most potent communication method but you lose most of this on the phone. So you’re left with tone and words. Be passionate and engaging about what you say. Use pace and tone to emphasise what you are saying. Repeat back their language. Use evocative and engaging ways to describe your service. Smile. If you’re flat, they won’t engage. Success: Successful telemarketers are successful because they see themselves as exactly that! The have self belief and a ‘can do’ attitude. In order to sell consistently and professionally, we need to rid ourselves of all the negativity and frustration of being rejected, having the phone put down, not getting through to our decision maker etc. Let’s face it, it’s the nature of our beast and we just need to get over it. Tone of voice: It’s very important that your voice sounds clear with what you say and how you say it. A successful telemarketer will know when to make their tone loud in order to appear confident (no need to shout though) and when to lower their voice and volume. Listen to the tone of your prospect and see if you can moderate yours to match. Understand the market you are calling: Decide who your target audience is and what your services can offer or solve for the prospect. It may be a vertical market such as Financial Services or companies in a geographic location. Having an understanding of who it is that you are calling helps make your pitch consistent and lets the telemarketer build momentum especially if you have something tailored for a particular sector. Voicemails: Leaving a voicemail is like painting a picture, but with words! If you haven’t got anything enticing to say, don’t say it. However, compelling voicemails can encourage some prospects to call you back. So if you’re thinking of leaving a voicemail, don’t make it bland and dull. What’s your ‘call to action’? Plan the voicemail like you plan the call. Workspace – Making calls can be a thankless and repetitive task. Therefore, make sure your work space is conducive to making calls. Avoid distractions. Keep noise down. Give yourself space to work and stretch. Stand up from time to time. It makes you sound more authoritative. Unclutter your desk and make sure you have your system open (with your notes), a pen and pad handy and any info for the call accessible. X marks the spot. With telemarketing, it is still a numbers game. So, you need to have enough no’s to achieve the yeses you need to build your business. So take a pad and draw a table 1-100. Cross out each number after each negative call until you have 100 X’s. We know that you won’t get even close to that before you get your first yes. It’s because the first rule of telemarketing is to get on the phone and don’t fear rejection. Yes: When a prospect tells you no, it doesn’t mean they won’t tell you YES at some point in the future! Try to ask questions that elicit a ‘yes’ rather than a ‘no’ answer. The more yeses you receive the more likely the crucial questions will end with a yes. Zone – Get yourself in the zone. All great athletes and performers make sure that they are energised for the task ahead. Don’t start a telemarketing session with hunched shoulders and hung-over from the night before. Prepare yourself to be successful from the word go. Are Customers Lazy and Stupid?